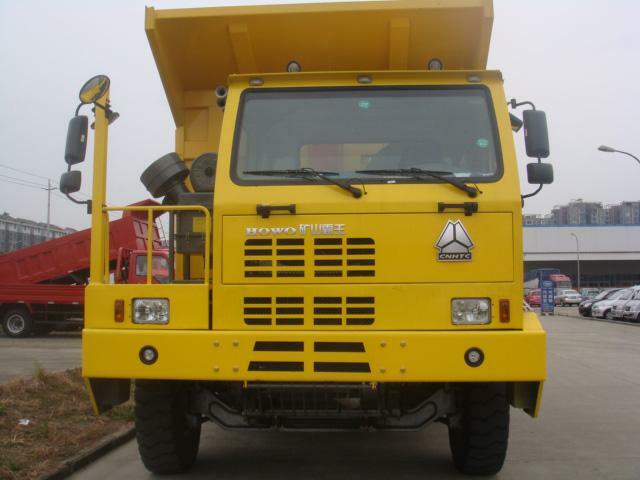 HOWO Mining Dump Truck with unilateral high strength skeleton cab, modelling concise, hale and hearty, broaden their horizons; good sealing can ensure your vehicle is always in the safe and comfortable driving environment; there are each of the two lighting lamps at the top of cabin's front and back for night work. The configuration of the HW19710 gearbox, HW70 force, torque up to 700NM. Equipped with a 500 liter D type fuel tank (optional 400 liters fuel tank), the workload of vehicle to meet your requirements. 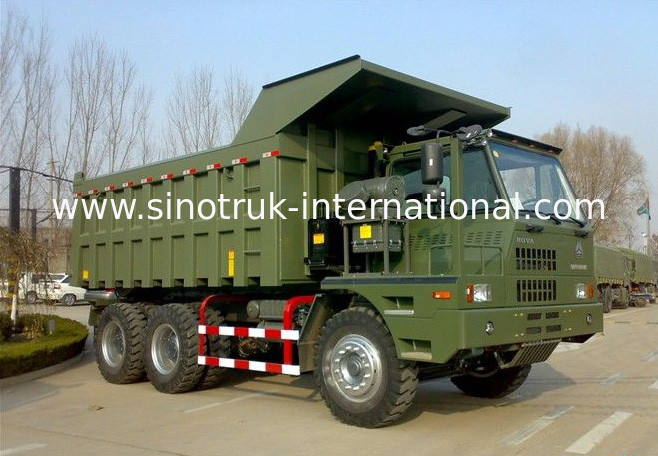 SINOTRUK independent research and development of new front axle assembly, the application of the whole casting strander beam, 500x210 strengthen type brake for truck parts assembly technology. 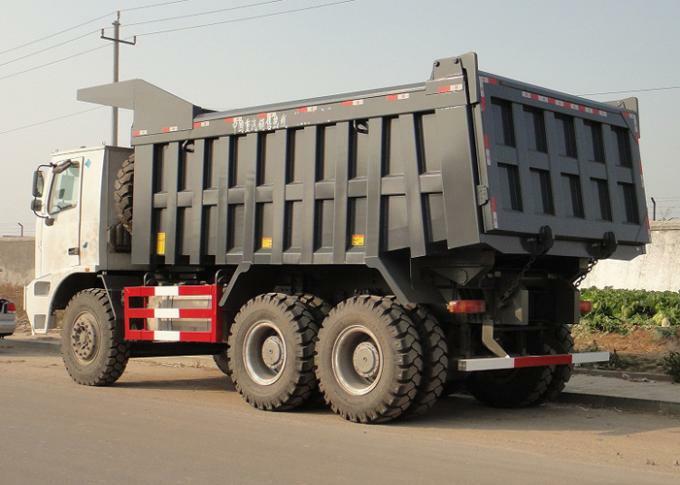 Rear axle adopts AC26 mine driving axle, the main reducer structure design more reasonable, strengthen type casting bridge shell and drum brake the vehicle carrying capacity and braking ability in the leading domestic level. Wheel and tyre: 10.0/2-25 wheel assembly, the standard 14.00-25-36PR tire, the original 14.00R25-36PR tire, is specifically for mines overlord customization of high load capacity, high wear-resistant special tires. HOWO 70 Mining Dump Truck is heavy concentrated engineering design personnel and development, first and foremost applies to all kinds of open pit coal mine, steel mills, hydropower construction, dock, poor road conditions, homework is in bad situations in areas within a short distance transport business development of this car, in terms of the particular user groups, with high economic benefit and social benefit.